After conducting an investigation on information through a multi scalar approach in order to identify patterns in the information circulation system of the world. By looking at the global scale of information, we found many patterns. If you think about it, it makes sense. Information has many faces. Many extensions. Many scales. 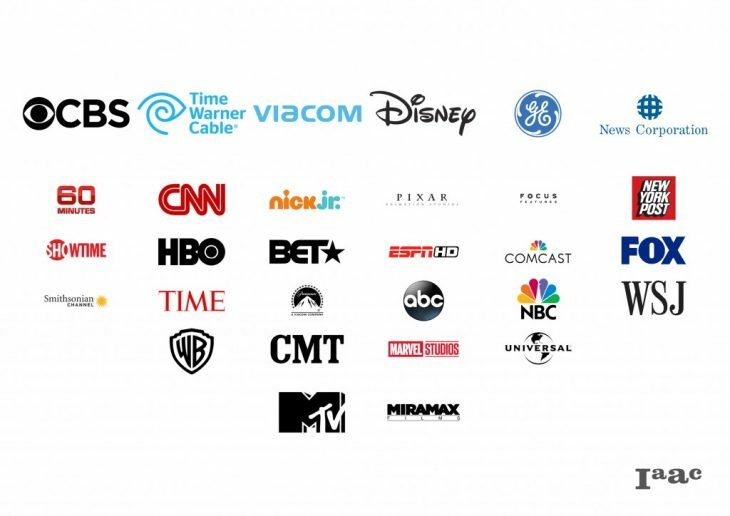 For instance by looking in the global scale we found that most information is owned by major corporations. Think of Facebook, one of the biggest and most valuable corporations in the world, that has most of its investment in the immaterial world. Their greatest value is immaterial. By extension, the infrastructure war is lost and most new infrastructures either end up being dependant on the major infrastructures or being too exclusive. 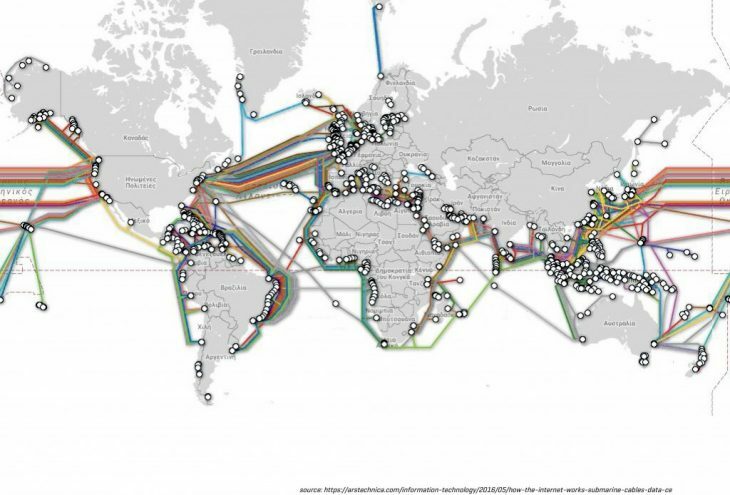 The global infrastructure of internet cables. Those who own the infrastructure, control the accessibility and those have the greatest accessibility control the veracity. It was at this point however that we understood that a linear, simple description of the information circulation model is not just impossible, it’s besides the point. 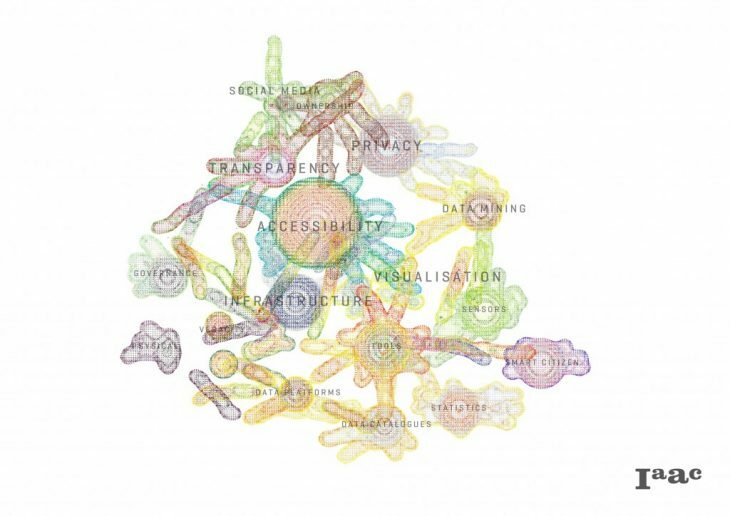 That’s why we tried to create a more apt visualisation of the face of information. In order to affect the current model we would have to infect one of its nodes. 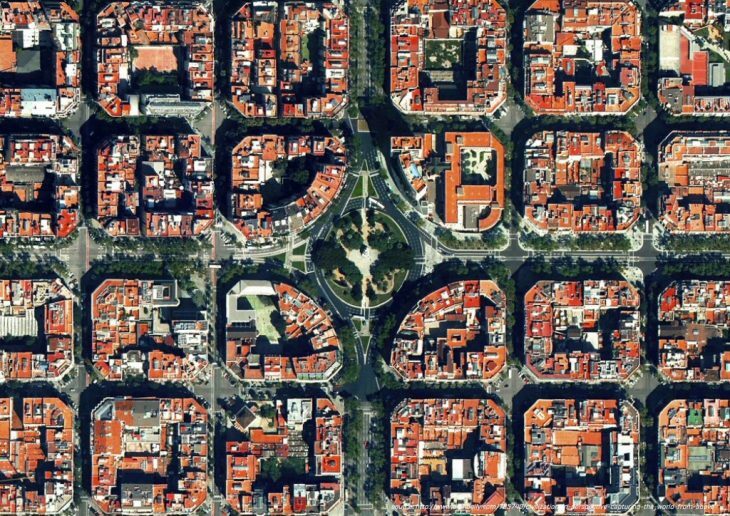 It was after this realisation about the nature of information that we brought down the scale and focused on the Urban Scale of the information circulation system of our city, Barcelona. On the urban scale we found that Barcelona is a very well connected city. It has a new significant focus on visualising and sharing information. It is also a city that has adapted well to the information era. 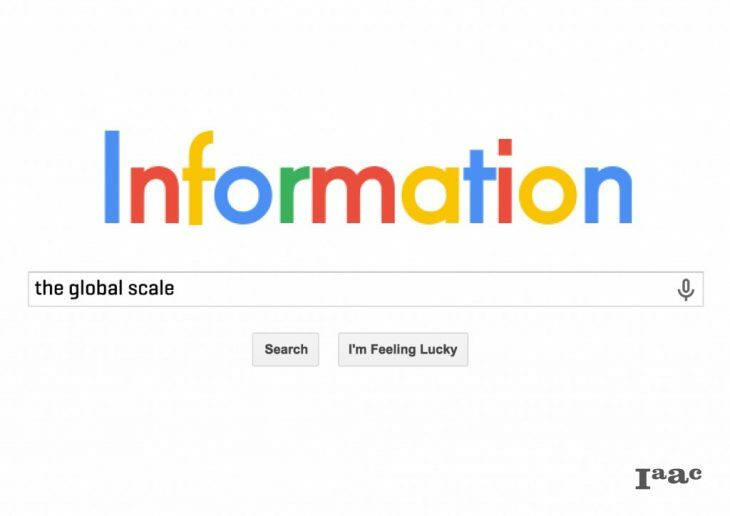 There is a data divide that is caused by the increasing rate of change of data creation and data demand, but as we were looking into a bottom-up approach to new information circulation models, we realised that we had to dig deeper into the scales towards a smaller one. 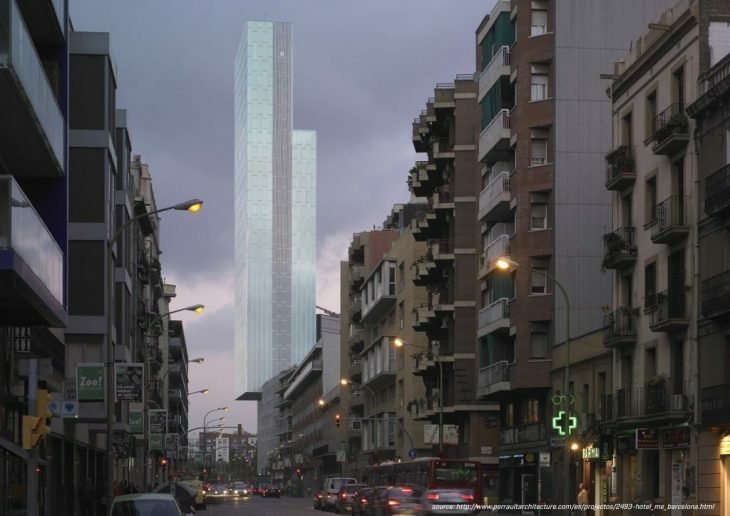 That is when we started investigating the neighbourhood of Poblenou. 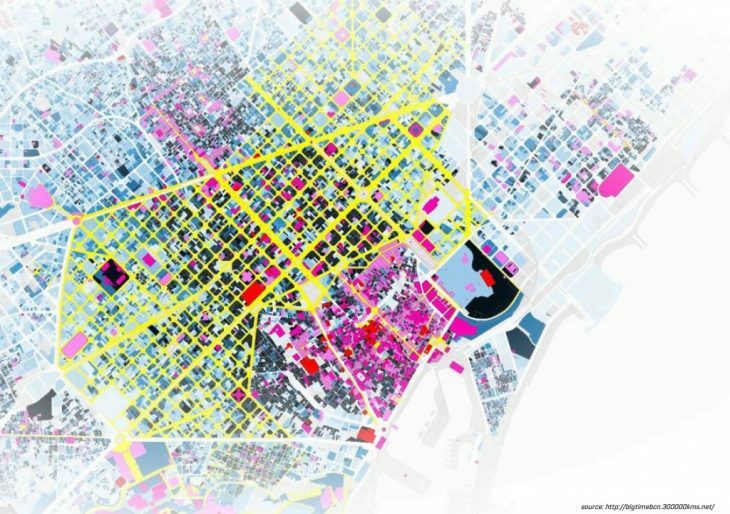 Poblenou is an interesting case of a neighbourhood with an industrial tradition that defines it till this day. It’s industrial character led us to explore the relationship that the neighbourhood has with the world of materials. So we left of put to the side the immaterial world of information for a bit, and focused on the way that materials circulate in Poblenou. 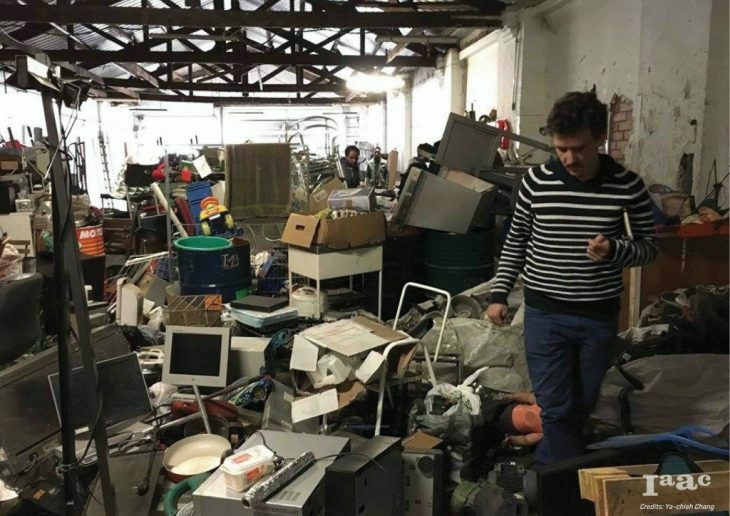 Interestingly, Poblenou is one of the many areas of Barcelona that is characterised by the phenomenon of scrap mining, an informal way of circulating trashed material from the trashes back to material recycling factories or even makerspaces. A scrap miner collecting neighbourhood material in his cart. Therefore, having come across an apparently informal infrastructure, what we naturally did as researchers was to follow the thread. What we found was that the scrap miners where not just gathering scraps from the streets, but actually they were collecting them in a big warehouses inside the neighbourhood, in order to either sell them to individuals that are interested or to private companies for a small finder’s fee. 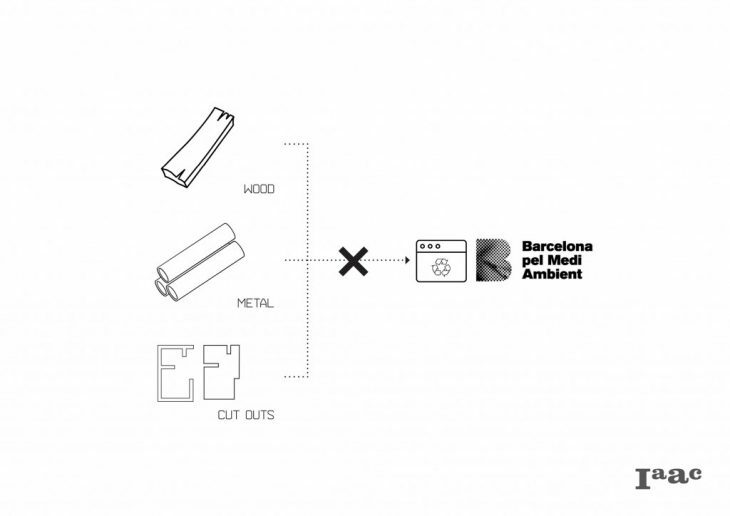 Therefore, we were led to the conclusion that there is an inefficient flow of materials inside the neighbourhood of Poblenou. When something breaks people tend to place it, next to the trash cans. Scrap miners collect them and the material ends being sold for profit and lost from the neighbourhood. On top of that, FabLabs and MakerSpaces, two neighbourhood entities that have a steady outsource of material in the form of cut-outs and scraps, lack an efficient re-usability policy. Moreover, the local recycling system does not efficiently take care of some materials which means that wood, metal and various scrap, or cut-outs also end up being lost. Material enters the neighbourhood and it’s value is lost. 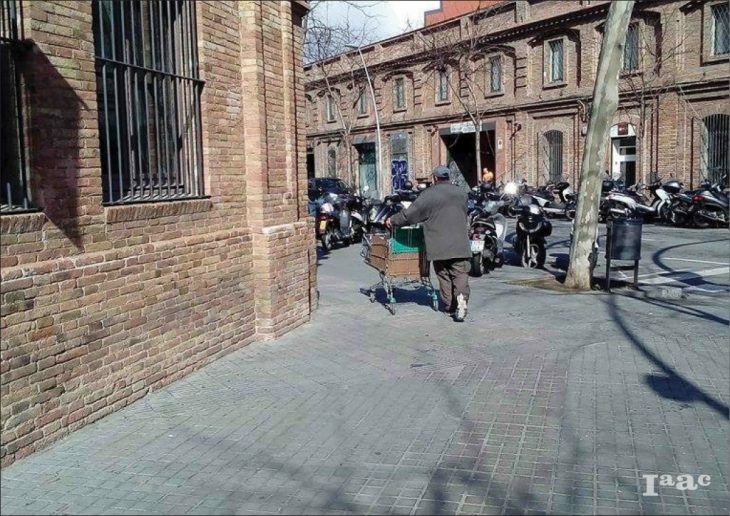 The reason for this phenomenon is that partly there is no efficient information system that records the circulation of materials in the neighbourhood. 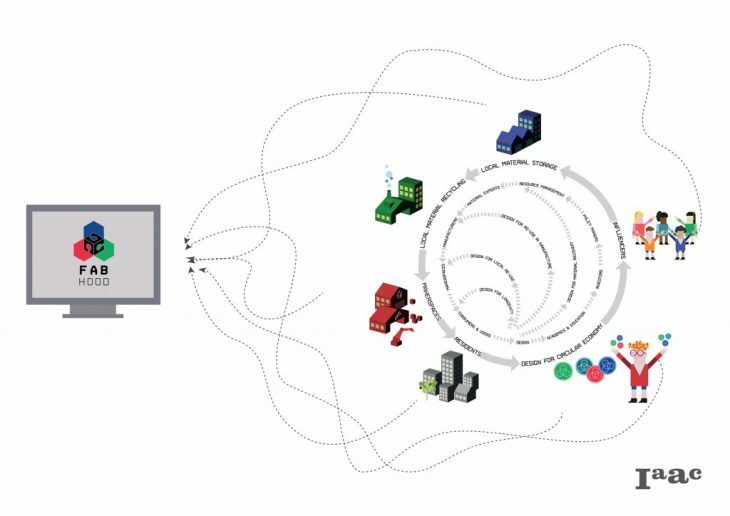 At the same time, there is no circular strategy for the management of materials and lastly, there is no common incentive for the people to increase the life cycle of materials. Thus, we created FabHood. 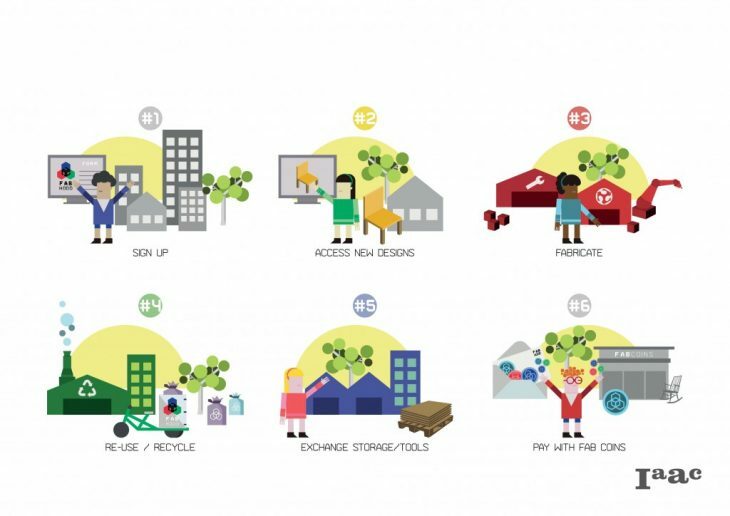 An online plaform that aims to return the lost value into the neighbourhood. 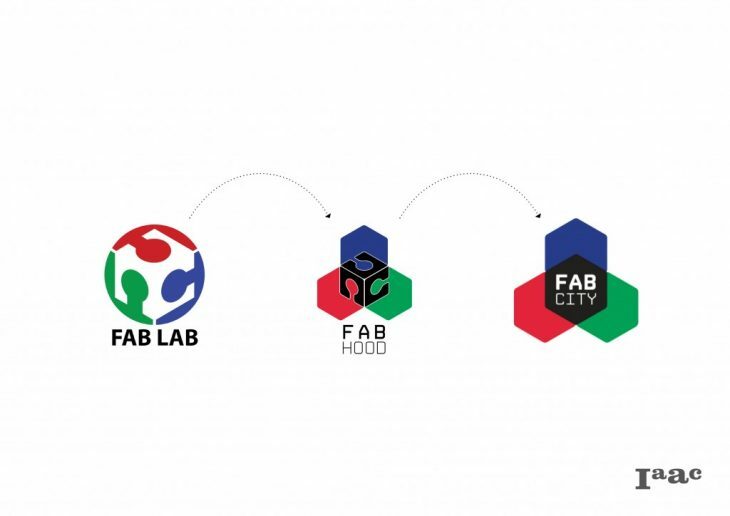 FabHood is the middle step between a FabLab and FabCities, with a focus to connect all the formal and informal material providers, collectors, makers, builders, maker spaces and FabLabs into one common network that uses one common economy called the FabCoin. You can upload/download open source designs. You can access the neighbourhood store. 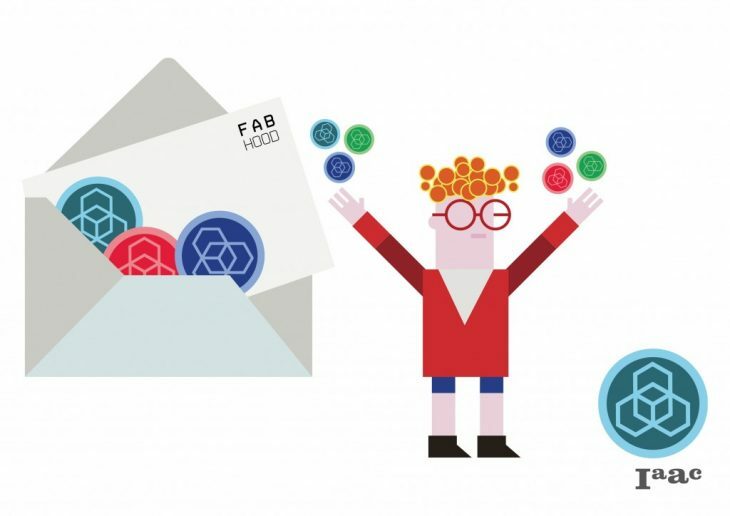 Contact and find material collectors, providers, makers, maker spaces & Fab Labs. Exchange storage, space, tools and different resources with other maker spaces and warehouses. Use the FabCoin to purchase all those services. 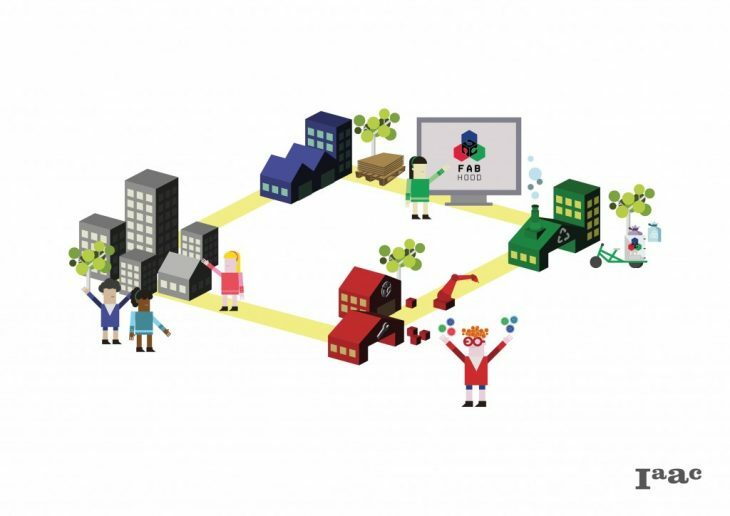 In conclusion we believe that the incorporation of FabHood will lead to the connection of all the key players, of the neighbourhood into a common network. 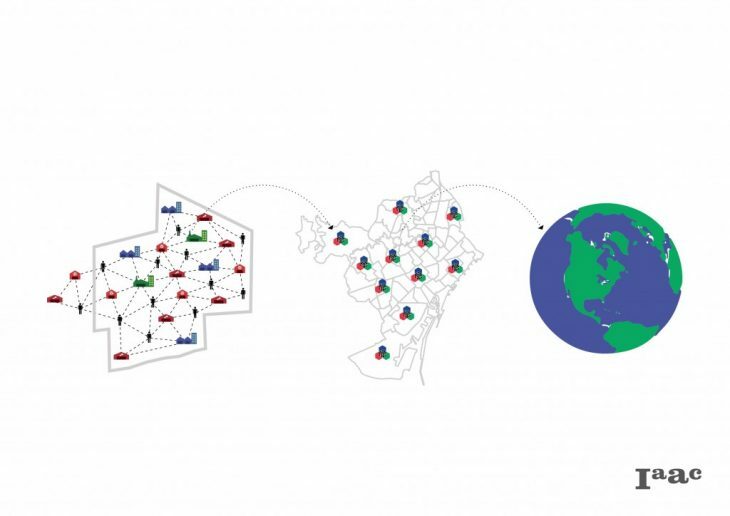 By extension, this network can be replicated in all the neighbourhoods of Barcelona, in order to reach a locally productive and globally connected world.